Welcome to the Back To School Tech Sweepstakes! Mom Powered Media believe in higher education and want to help our network readers get there. To help you do just that, we are giving one lucky reader a $500 Visa Gift Card and HP 14″ Chromebook PC. There will also be 20 second place winners to take home Back To School Prize Packages. So what are you waiting for? Let’s get BTS ready, tech-style! Special thanks to co-host bloggers: Monica’s Rants, Raves & Reviews, The Jenny Evolution, Memoirs of a Clueless Woman, My Dairy-Free Gluten-Free Life, My Daylights, Barbara’s Beat, Saving You Dinero, Shaping Up To Be A Mom, Robyn’s View, Coupons and Freebies Mom, A Hen’s Nest, Budget Savvy Diva, Mutterings Of A Mindless Mommy, Your Sassy Self and Nest Full of New. Open your sleek, next-generation HP Pavilion 14-Q020NR 14″ Chromebook PC to get online, fast. You can access your favorite websites and Google Chrome apps on the 14-inch diagonal HD display in seconds. One grand prize winner will receive a $500 Visa Gift Card and HP 14″ Chromebook PC. 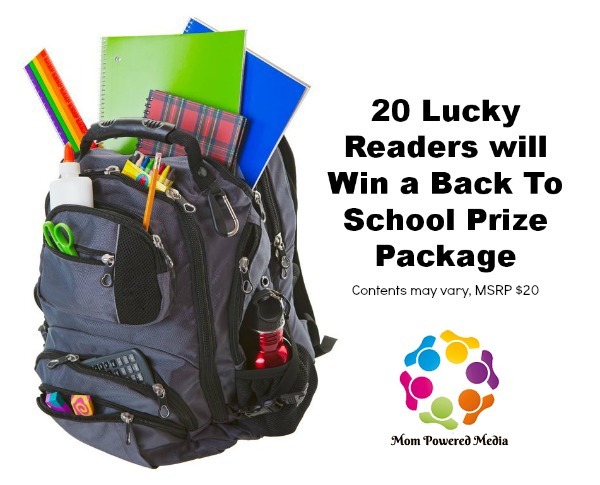 Twenty additional winners will also receive a Back To School Prize Package. The Back to School Tech Giveaway ends August 15th at 11:59pm, open to US and Canadian residents, ages 18+. Excludes Quebec. Only one entrant per household, per address. Winner is subject to eligibility verification. Enter using the giveaway form below. Good luck!